In 2012, the DMA tried to buy the long lost Leonardo, but fell short. The rare painting is back on the auction block with an eye-popping price tag. The da Vinci took an unusual route to this particular auction block, but its most interesting detour came in 2012, when it arrived at the Dallas Museum of Art while the museum tried to drum up the wads of cash it would have taken to buy the only privately held work by the Renaissance master. 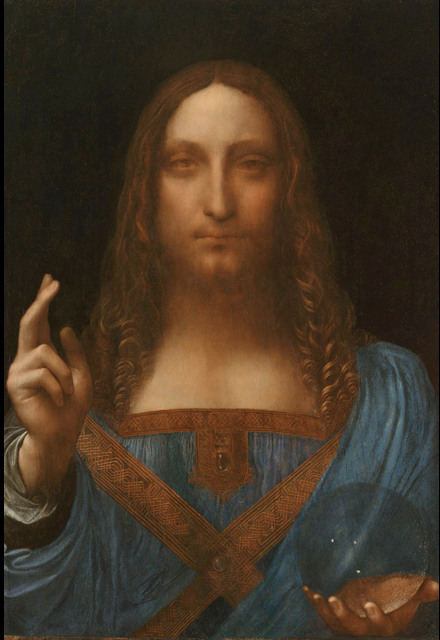 We’ll get there, but first, clips from the long strange journey: Salvator Mundi was painted sometime around 1500, and circulated among European royalty for a couple centuries before falling off the map for 140 years. It resurfaced in 1958, and, then thought to be an imitation by one of da Vinci’s followers, went for less than $100 at a Sotheby’s auction. It pulled another vanishing act before being rediscovered in the early 2000s, kicking off an art world fervor at last in 2011 when it was authenticated as a da Vinci. Which takes us back to Dallas, where in 2012, the price tag being bandied about was close to $200 million. This did not deter then-DMA director Maxwell Anderson, who saw the opportunity to make a splash by adding to the museum’s, at the time, essentially nonexistent collection of work by Old Masters with a masterpiece by the biggest Old Master of them all. The museum has since beefed up its stash of paintings by long-dead Europeans. For Salvator Mundi and Dallas, however, it wasn’t meant to be. DMA staff, curators, trustees, and the deep-pocketed donors Anderson was buttering up five years ago got the chance to see the da Vinci in person. No one else here did. The museum’s bid — the offer wasn’t made public, but “tens of millions of dollars” were on deck — was turned down, and the painting in 2013 reportedly was sold for about $75 million in a private deal. Now here we are, given the opportunity to engage in one of our greatest pastimes, dredging up the past and wondering what could have been. Would the DMA acquiring Salvator Mundi have made Dallas an international art destination, as some boosters claimed? Would it have instead been a colossal waste of money, as others argued? What kind of art should the DMA seek to buy in the first place? While we’re at it, how do we determine the value of art in the 21st century? How are you doing today, really?